On Saturday afternoon, around 1,500 people descended to the center of Cottbus to protest against a refugee policy of the German government and demand a closure of the border. The demonstrators carried banners with slogans saying, "Our Country, Our Rules" or "Love for Motherland Not Crime." Apart from a minor incident when the crowd approached a counter-protestor prompting the police to interfere, the protest remained peaceful, according to the authorities. No injuries have been reported. 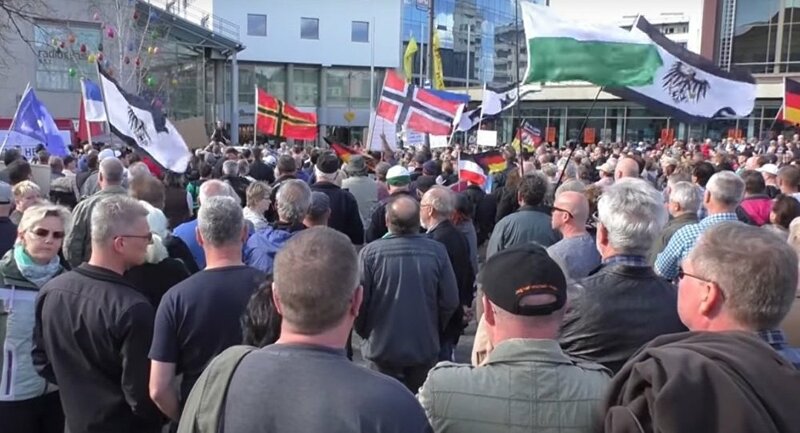 A silent counter-protest, arranged by the organization "Cottbuser Aufbruch," opposed the anti-migrant demonstrators by donating money to an integration project for every meter covered by the demonstration train. According to one of the counter-protest's organizers, Lothar Judith, they managed to raise 1,979 euros for the integration of refugees in Germany.